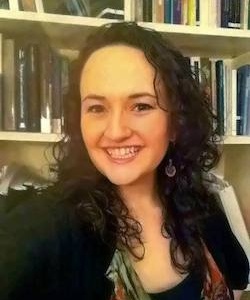 Shuli is a doctoral student in ancient Jewish History, focusing on the intellectual history of rabbinic thought and ideas as they developed in their Greco-Roman context. Her research interests lie in the history of science and medicine in antiquity and comparative legal history. Previously, she completed her BA in philosophy from Columbia University and she received a MA with distinction in Talmud and Rabbinics from the Jewish Theological Seminary. Her MA thesis, entitled "Conflicts of Law in Roman and Rabbinic Legal Tradition" compared the legal treatment of non-citizens in Roman courts to the treatment of non-Jews in rabbinic courts. Currently, Shuli is a Graduate Fellow at the Center for Jewish Law at Cardozo Law School. Shuli has received grants from the Center for the Ancient Mediterranean and the Institute of Israel and Jewish Studies, which have enabled her to explore archaeological sites and material culture in Europe relevant to the study of antiquity.